Esri shapefiles can be imported to generate basemap components. The shapefile format is native to the Esri geographical information system (GIS) applications. Each shapefile will contain only one type of graphic primitive. View a training video on the use of shapefiles in EnviroInsite here. 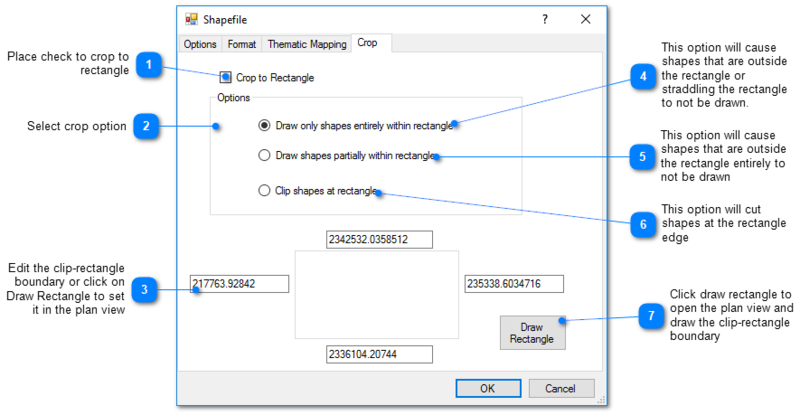 To insert a shapefile map, select Insert> Shapefile from the main menu and select a shapefile from the Shapefile dialog box. The shapefile image is automatically drawn at the correct scale. 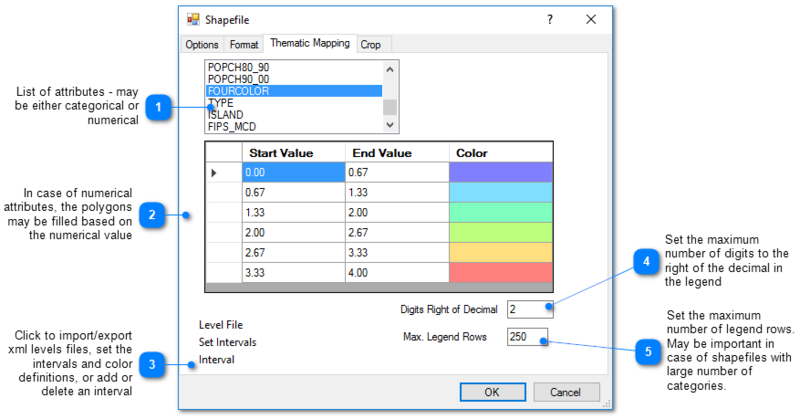 Once inserted, the default properties of the shapefile object can be edited by double clicking on the shapefile object name in the Plot Control tree. 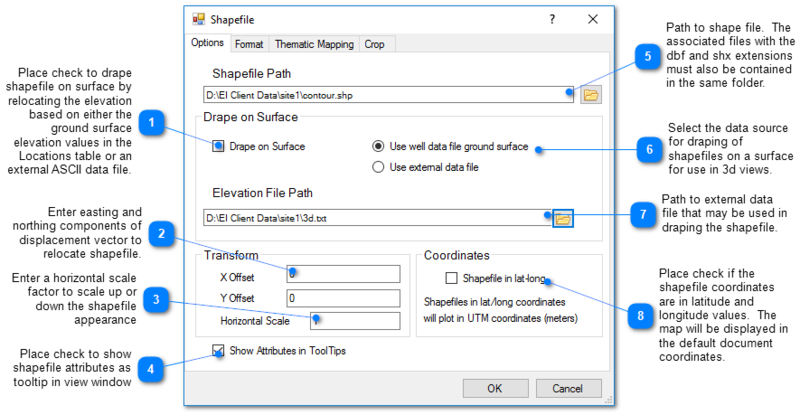 If an EnviroInsite vizx or xml session file is generated after inserting a shape file, the shape file path is included in the session file.